Your clients' experience will be quick and easy to understand. Once your client tasks have been sent, your client will receive an email. They will be taken to a unique client view of Karbon that exists for the related work. 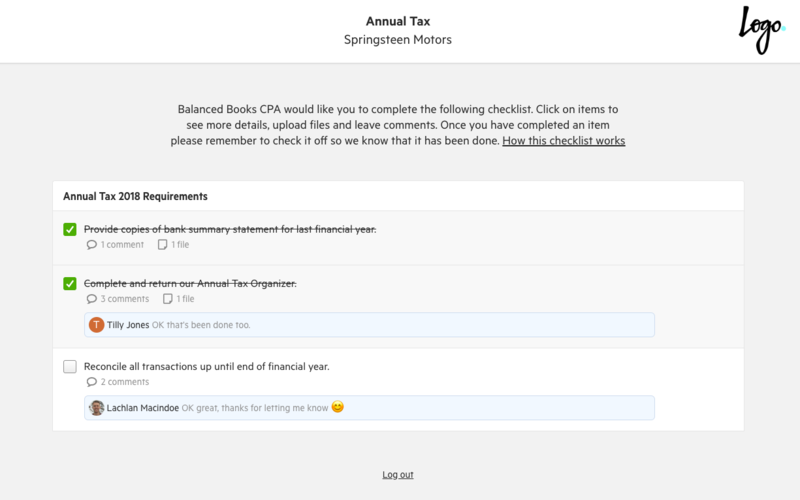 If client tasks are scheduled to send automatically, your client will receive an email from the person the work item is assigned to. If client tasks are sent manually, the email will be sent from the person who clicked Send. Your client will be prompted to set up a 4-digit PIN. 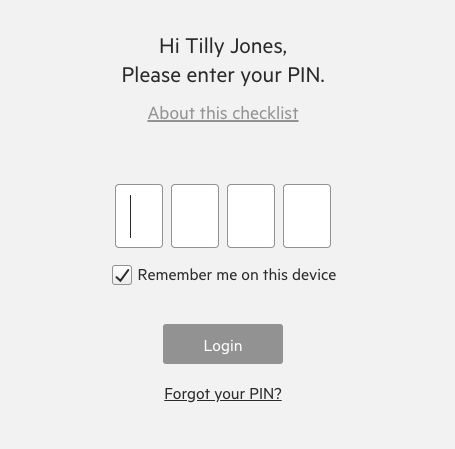 They will be asked for this PIN whenever they access these task on different devices. If they forget their PIN they can easily reset it by clicking Forgot PIN. This PIN is chosen by your client, and unique to them. They will be able to use it whenever they access client tasks. From their unique Karbon view, your client can easily upload files to each task, and check it to signal they have completed it. When your client completes a client task or adds a document you will receive a notification in Triage, and the client task will also be marked as completed in the piece of work. To help you introduce client tasks to your clients, you may wish to use this email template.